Housing.com, whose business model included purchasing a premium domain for $1 million, is experiencing rough weather as of now. After their founder and CEO Rahul Yadav was sacked by the investors and mass firing done to reduce expenses; rumor mills are abuzz with the news that Housing.com maybe up for sale. $50 million is the rumored price tag of Housing.com, whose last valuation made it worth $250 million or Rs 1500 crore. Infact, as per news reports, a big classified portal has offered $30 million to purchase all assets and liabilities of Housing.com, a figure which should be unacceptable to their current owners. SoftBank, which owns 32% in the company, has already infused $125 million or Rs 750 crore into the real estate startup. It seems that the sacking of Rahul Yadav was not the end; but only a beginning. A company which was once valued at $400 million, is now being bargained for less than $30 million. We had reported in August that Housing.com may fire 600 or 23% of their employees in order to reduce expenses. SoftBank had promised to infuse fresh capital, only if they are able to meet certain ‘operational parameters’. Firing employees and reducing their weight was one of the parameters. Besides these, the company also exited from commercial properties, short stays and land businesses verticals. Their focus on Tier 2 and Tier 3 cities have been reduced considerably, and their sole focus is on generating advertisement based revenues from Tier 1 cities. If reports are to be believed, then Housing.com is concentrating hard on improving their technological platform. We had reported earlier that Quikr is that large online classified portal which is interested in acquiring Housing.com. They have already in the process of acquiring CommonFloor, a move which will consolidate their position in the real estate market. But Housing.com can be a bigger acquisition for them; considering the buzz and branding they have already made. But this is a news which can be neither confirmed nor denied at this time. Will SoftBank Infuse More Funds? Besides rumored price tag of $50 million, another set of reports have emerged, according to which, SoftBank may infuse another $35 million or Rs 220 crore to keep the company alive. 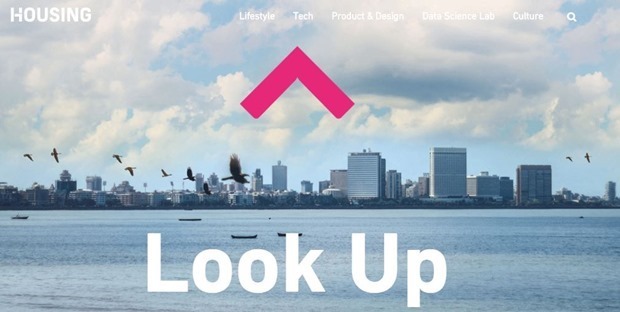 Two persons close to this deal have informed Economic Times that SoftBank doesn’t want any 3rd party (read: new investors) to get involved in Housing.com, and want to increase their valuation to Rs 2260 crore ($375 million) and infuse $35 million into the struggling startup. SoftBank has refused to comment on this development. $35 million can be a breather for Housing.com; but unless they generate revenues and get customer traction, this VC fund may not prove to be sufficient for them. Considering that rumors are already floating about possible acquisition, employee morale and confidence may also take a dent. "Rumor Mills Are Abuzz: Housing.com On Sale For $50 Million! ", 2 out of 5 based on 3 ratings. This Stamp Sized Chip Developed By a Bengaluru Company can Change Rural India Forever!